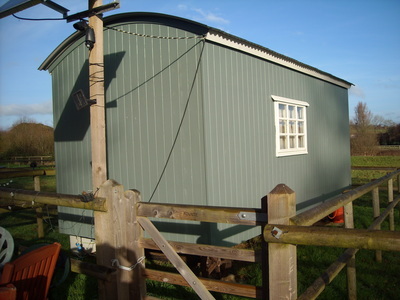 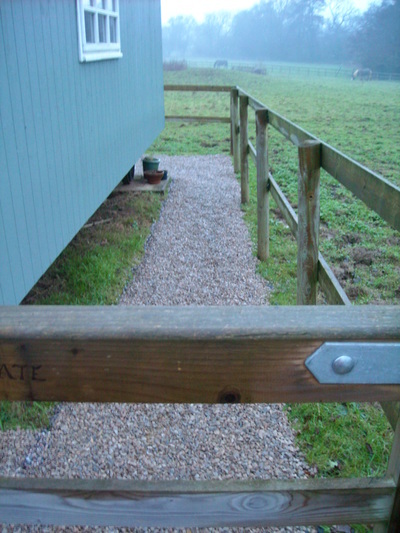 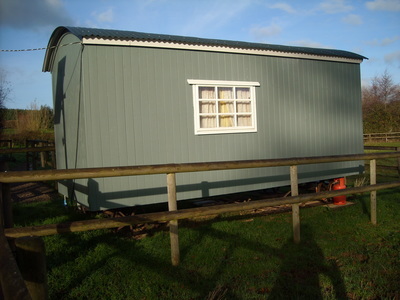 Shepherds Hut - DEVON YURTS Glamping in Style! 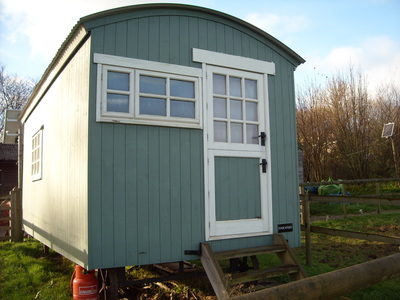 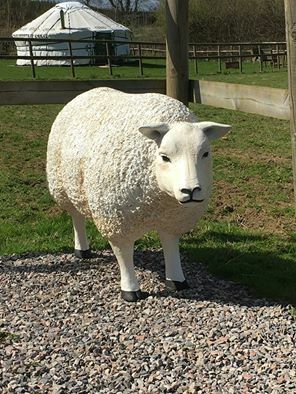 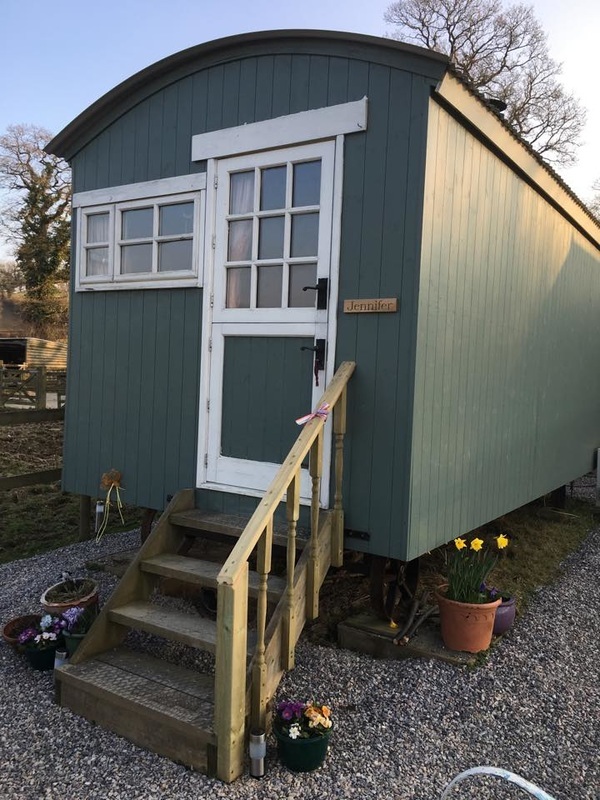 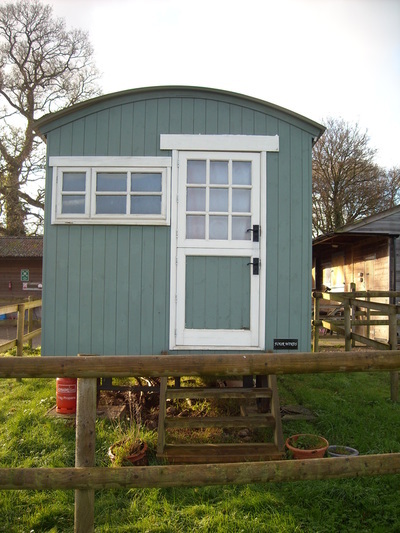 We are able to offer alternative accommodation to our yurts in the shape of a beautiful quirky hand crafted Shepherd's hut. 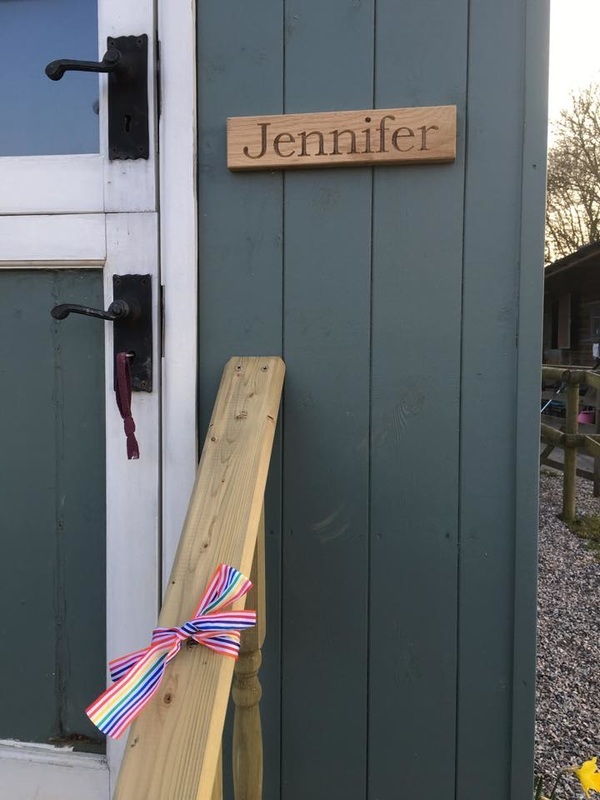 The Shepherds hut, fondly named "Jennifer" can sleep up to 3 adults and another person who is prepared to climb into the top bunk! 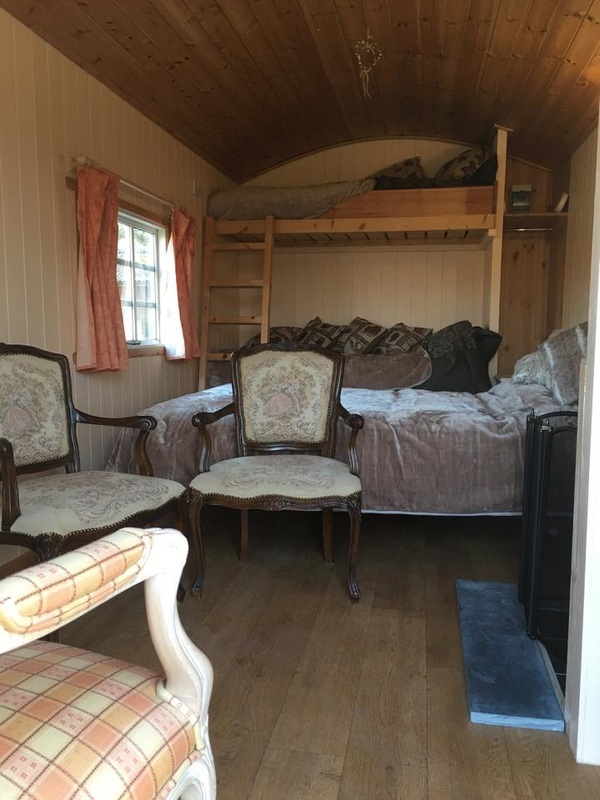 There is a double bed and 2 bunk beds. 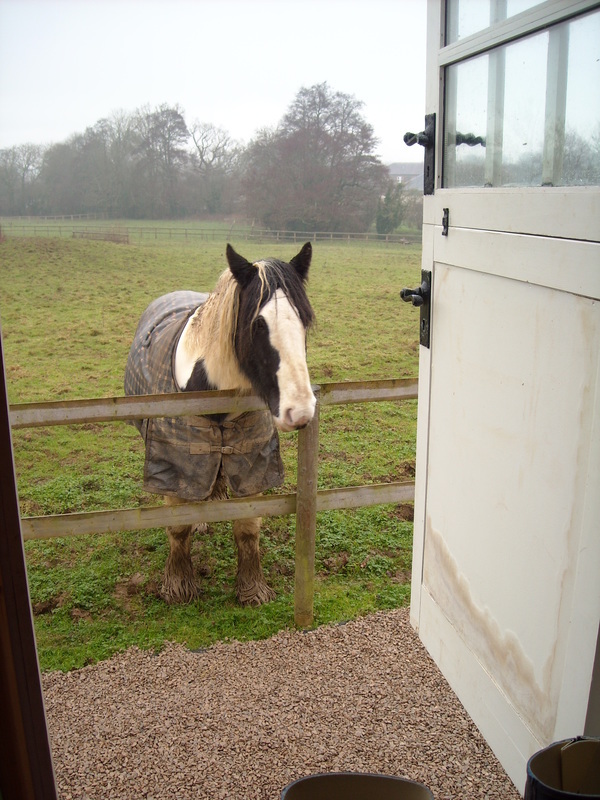 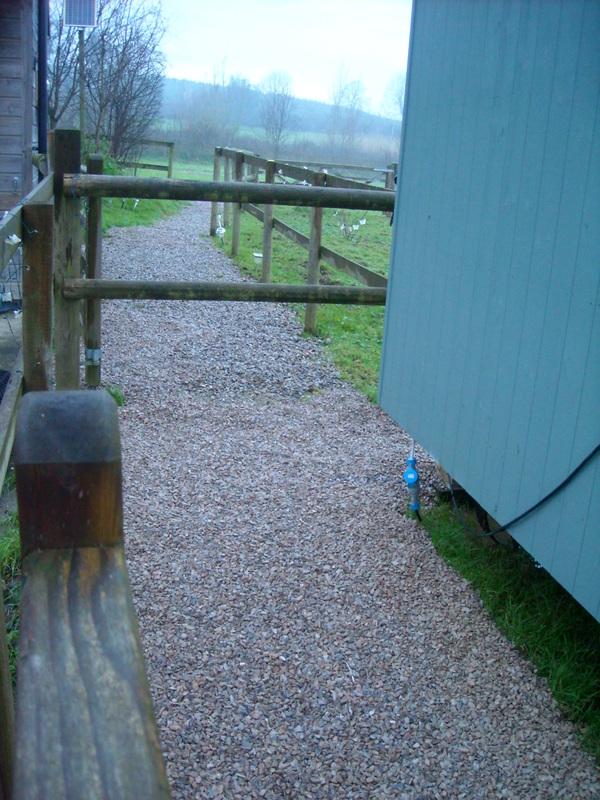 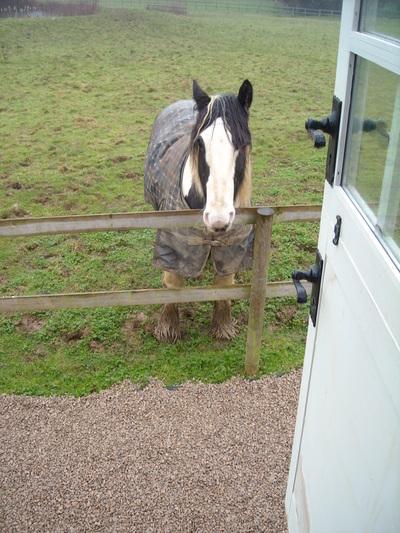 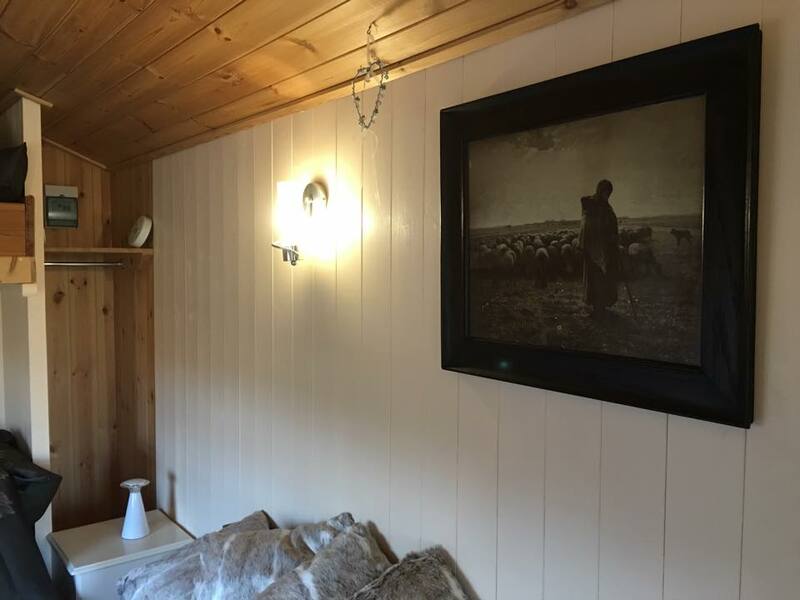 There is a comfortable seating area inside with views over the meadow from the window, and views over the lake from the stable door. 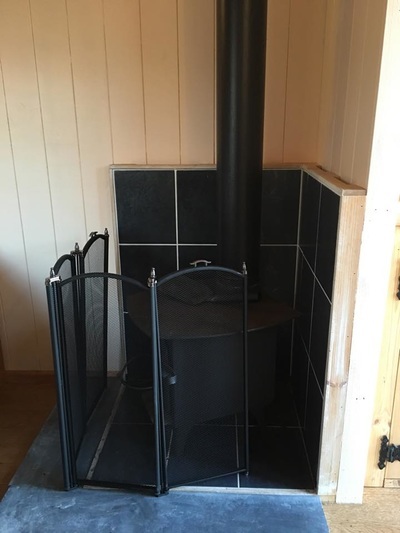 Inside the hut is a wood burning stove for those chillier evenings and outside is a seating area and fire pit for those balmy evenings and barbeques overlooking the meadow. 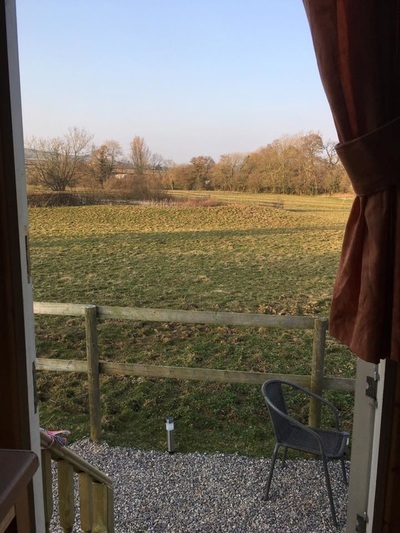 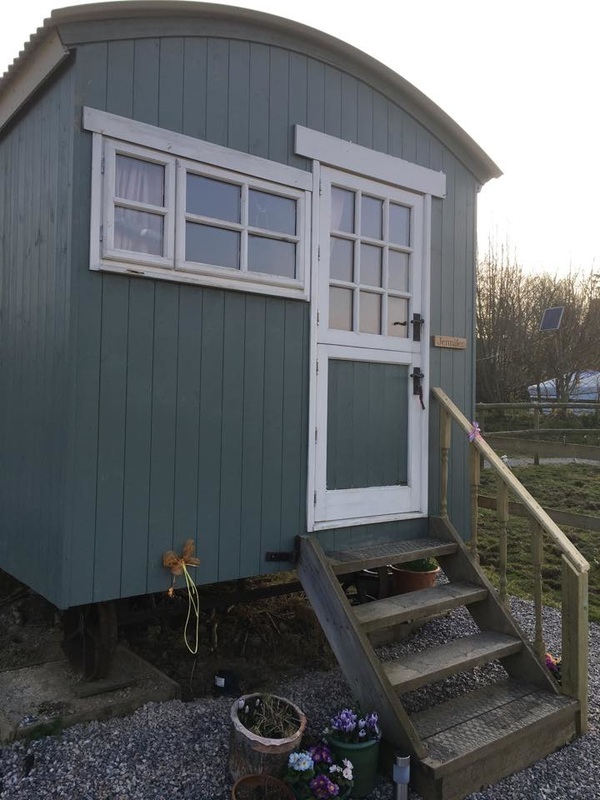 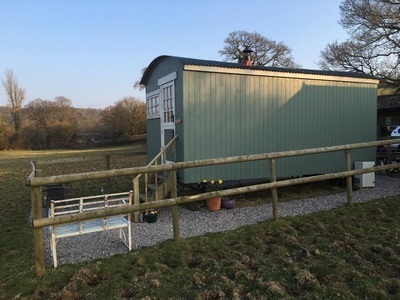 The shepherd's hut is ideal for those people who might be tentative about glamping in a yurt, but love the idea of sleeping in a lovely rural location, in the corner of a beautiful meadow overlooking the river Hems and our lake. 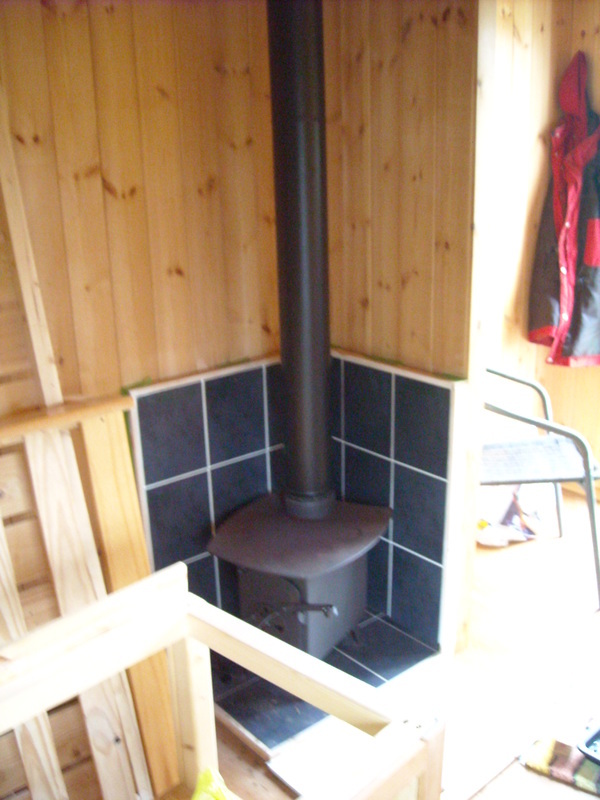 Included in the price is all the bedding you will need and a supply of logs for your wood burning stove or camp fire. 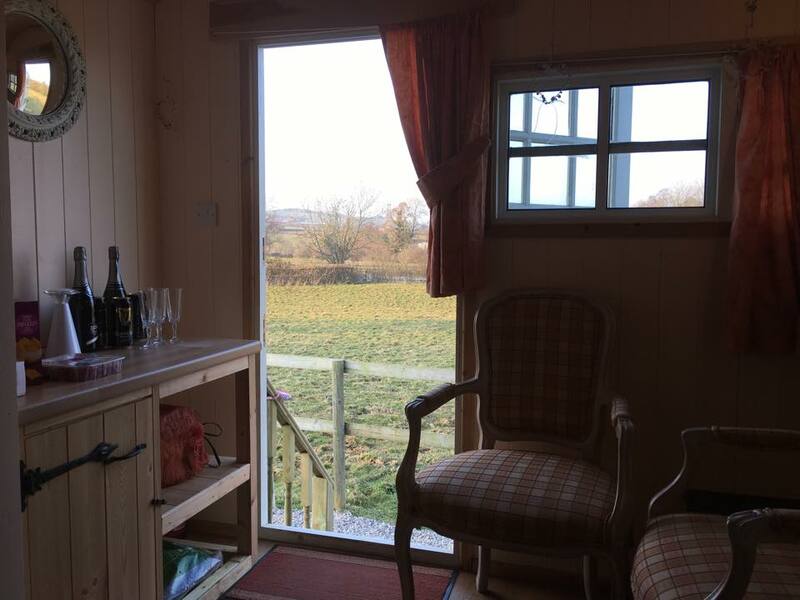 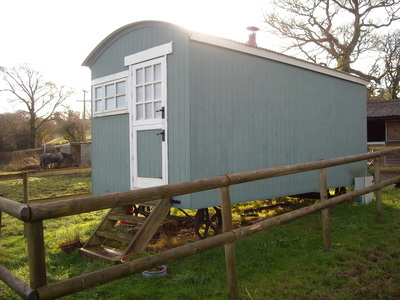 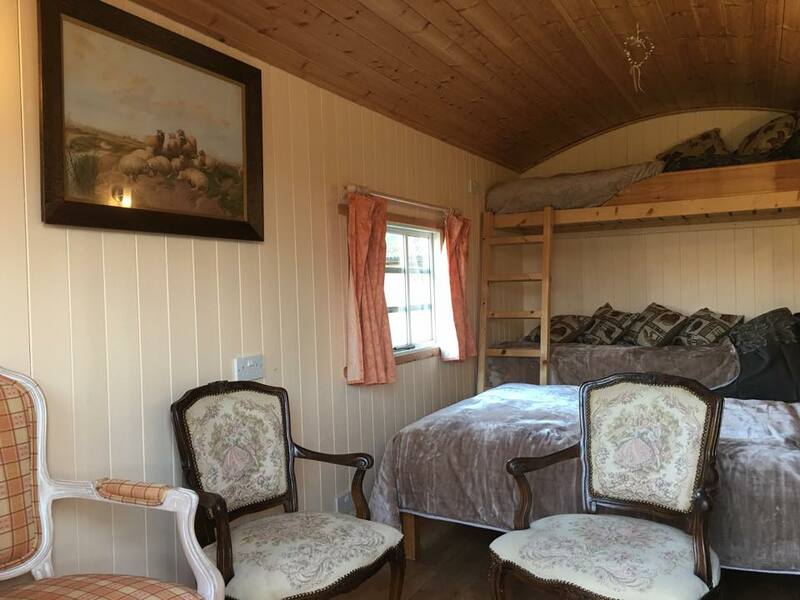 The shepherds hut is perfect for a romantic break or a family holiday alike. 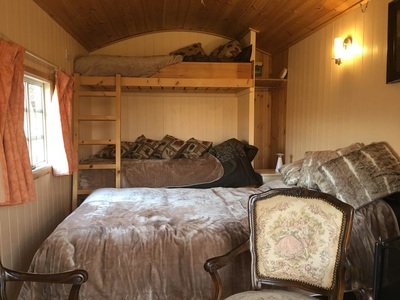 Perfect for those who like some home comforts with a double bed, and 2 bunk beds, complete with duvets and throws. 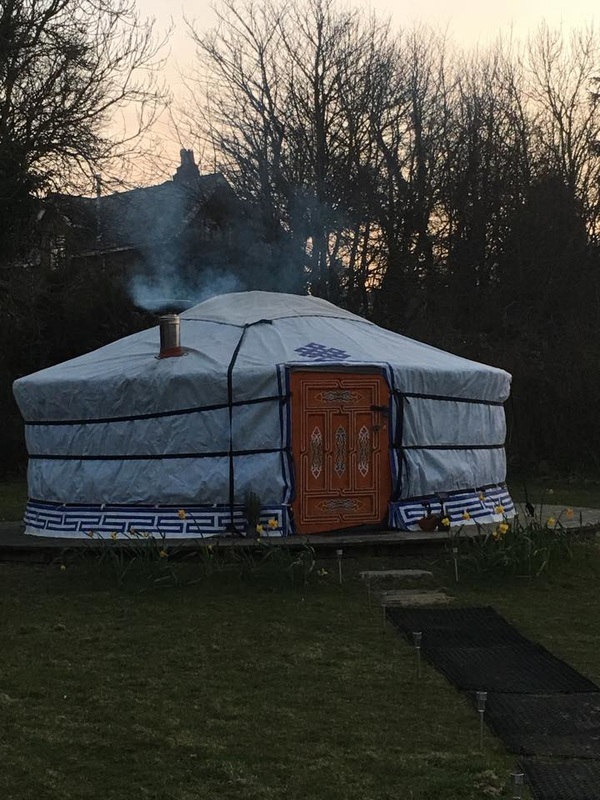 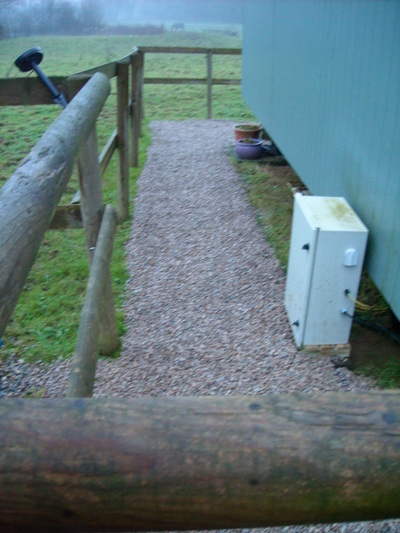 Very comfortable glamping accommodation with a difference. Prices from £65 per night or £ £455 per week (low season). 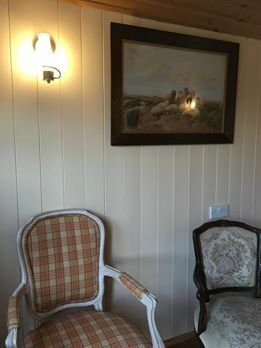 Please telephone 01803 762774 for more details or to make a booking.